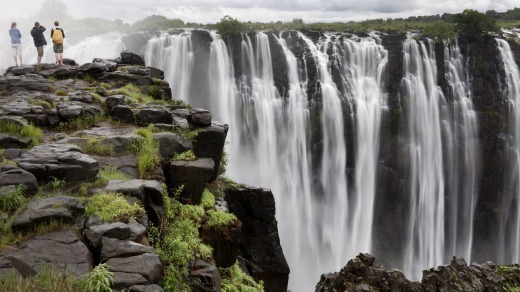 The world renowned Victoria Falls will have you in awe at the might of nature. Watch, as a curtain of water almost two kilometres wide plummets to the bottom of the gorge and gets forced through an opening barely 120 meters wide. Victoria Falls is also the adventure capital of Southern Africa. Activities available in Vic falls include Helicopter flight over the falls, bungy jumping, Elephant encounters, walking with lions and sunset cruises to name but a few. After your 2 night stay in Victoria Falls, we will transfer you across the border into neighbouring Botswana, to the spectacular Chobe National Park. Famous for the huge herds of elephants that come to the mighty Chobe River to quench their thirsts after a dusty day foraging for food in the dry interior. Chobe also boasts very healthy populations of buffalo, giraffe and all manner of antelope. All this food results in some impressive predator populations with lion sightings being very common. You may be extremely lucky and encounter the elusive leopard or the rare African wild dog. Regardless of what you may encounter in Chobe, you will never be disappointed, this truly is, Africa at its best. This is a great opportunity to spot some of the many species of birds and animals that live in and around the Zambezi. You will more than likely find some hippos and crocodiles. The guided tour of the falls starts at the Western side of the gorge and you slowly walk all the way along its length, stopping at view points as you go. 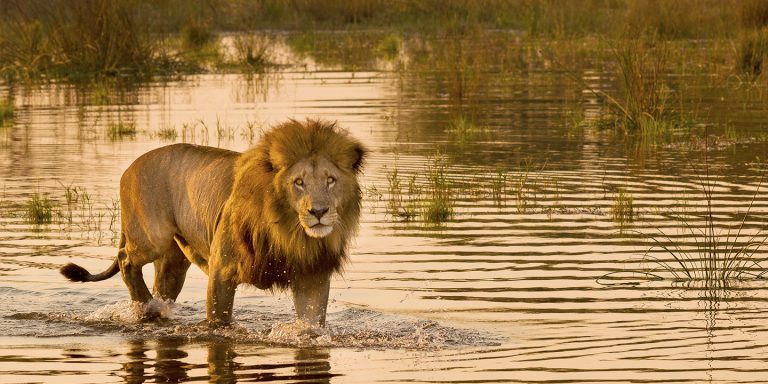 After crossing the border between Zimbabwe and Botswana, there will be a game activity on offer, either a boat cruise on the Chobe River or a game drive in the Game reserve. Northern Chobe has one of the highest concentrations of elephants anywhere in the world and you are bound to see some sensational elephant sightings. Today, it’s all about the animals. We might be able to find some of the nocturnal predators as they finish up their hunting from the previous night. With a little luck, we may find some lions on a kill or a shy leopard up a tree. As the day warms and the animals retire to the shade for some well-deserved rest we also return to camp for a bite to eat and to relax by the pool. In the late afternoon, we will again participate in an activity, either a boat cruise or game drive. After breakfast you will be transferred back through the border into Zimbabwe and the Vic Falls airport in time for your flight back to Johannesburg where your safari will end.